Motoring is an industry that is always worth keeping an eye on for innovation, creativity and technology. The people who design cars are all entrepreneurs in their own way: they actively seek new and better ways to utilize and access the world as we know it from within the realms of your carâ€™s cabin. Thanks to the Automotive Industry and a certain Henry Ford, we were given the assembly line, the Ford Model T and the concept that everyone could own a car. Over 100 years later the car has evolved into something truly remarkable and packed with technology. Thereâ€™s no need to scramble through your pockets or bag in a last minute attempt to find the keys before reaching the car anymore. So long as you know that the key fob is on your person, all you need to do is approach the vehicle and the doors will unlock for you. Get in and push the big shiny ignition button for a satisfying Top Gun moment and feel that engine come to life — all without having to even lay an eye on a key. One of the earliest examples of this tech was found on the 1993 Chevrolet Corvette and in Mercedes-Benz vehicles from 1998. 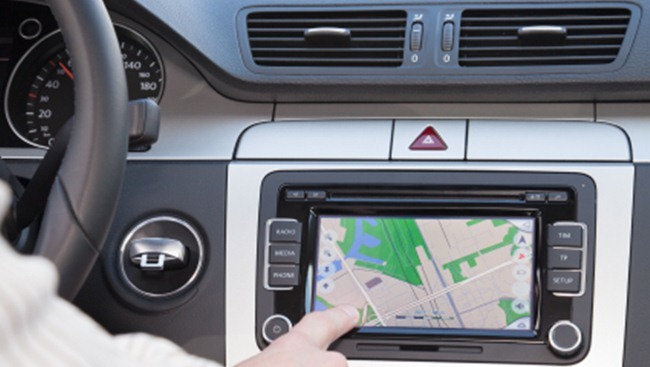 The age-old argument between husband and wife as to whether or not to pull over and ask for directions has finally been laid to rest with the implementation of Satellite Navigation (Sat Nav). It comes as a standard feature in many new cars, and is also reasonably priced to buy as an aftermarket product. The electronic receiver (what we attach to our dashboard) determines its location by using time signals transmitted along a line-of-sight by radio from satellites. The United Statesâ€™ Global Positioning System (GPS) is the most widely used satellite navigation system having been globally operational since 1994 and using up to 32 medium Earth orbit satellites. So, youâ€™re going to have to start coming up with better reasons for showing up late. Some people can park and some people canâ€™t. Itâ€™s just one of those things. There are people in the world that will add another 15 minutes to their journey in the hopes of finding a spot that wonâ€™t require them having to parallel park. Thatâ€™s why the people at Toyota Motor Corporation developed the Intelligent Parking Assist System (IPAS) in 2004 â€“ the first automatic parking system. Using an in-dash screen and button controls, the car can steer itself into a parking space with minimal input from the driver. Several manufacturers now have similar systems and offer them as optional extras. Queue the collective sigh of relief from nervous drivers all over the world. Even those who arenâ€™t as tech-savvy as others will know about Bluetooth through the use of mobile and computing devices. The exciting part however, is the introduction of this technology to the car cabin. By pairing our phone up with the carâ€™s Bluetooth, we are now able to use voice commands to go through our phone contacts and yack away without ever moving our hands from the steering wheel â€“ making the drive safer. This has been expanded to include the use of an iPod (or any other Bluetooth enabled music playing device) through your carâ€™s stereo system without having to use any wires â€“ effectively removing the last reason the compact disc had to hang around. New technology through the use of infrared cameras built into the front of the car has made nighttime driving a much safer experience. 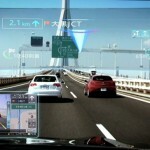 The cameras pick up light invisible to the human eye – showing up objects, animals and people on an in-dash monitor. In some cars, like the Lexus LX 470, the image is generated and reflected off of the lower portion of the windscreen for a heads-up display effect. In Audiâ€™s A8, the Night Vision Assistant uses a thermal imaging camera behind the four rings at the front of the car which can see 300 metres ahead. The computer can differentiate between objects and humans, and does so on the display by highlighting humans with yellow markings. Furthermore, if a pedestrian is moving in such a way the he / she risks a collision with the car, the pedestrian is marked in red and the car gives off an audible warning to the driver. No tech-list involving cars could be complete without mentioning the onboard computer. Having humble beginnings displaying the time and temperature outside, onboard computers now allow the driver an infinite amount of customisable settings that all add to the driving experience. Half the fun of buying a new car is sitting down and fiddling for hours on end deciding how long the carâ€™s headlights should stay on after youâ€™ve turned it off. Each manufacturer uses their own operating software, but they can come across as fairly similar across the range. We can even browse the Internet and speak to other cars now. The ability to change the stiffness of the suspension, to view vital statistics on the carâ€™s performance and fuel intake, and to see how far you can take the car across the G-Force Meter all make for a great, and slightly geeky, experience inside the cabin.